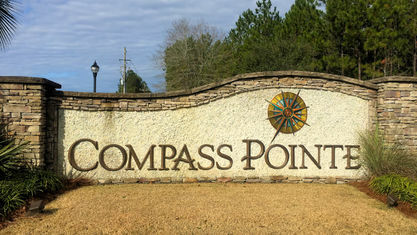 A quick view of the most influential metrics in Compass Pointe. 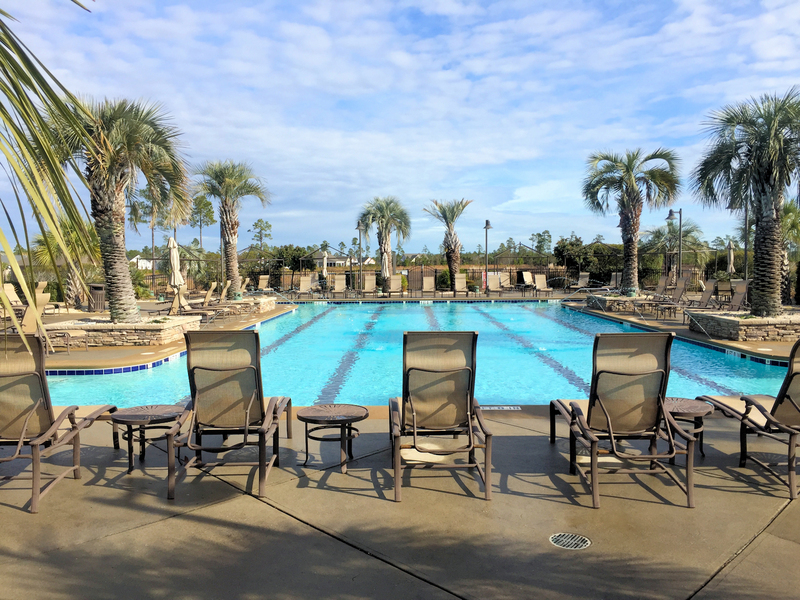 Have you ever dreamed of living in a resort with a gorgeous swimming pool, full-service restaurant, and fabulous fitness center? 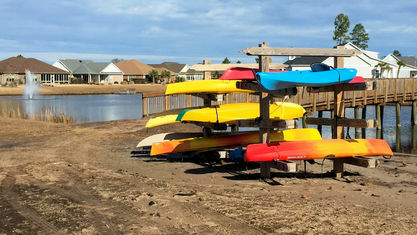 How about a championship golf course, tennis courts, and canals for kayaking? 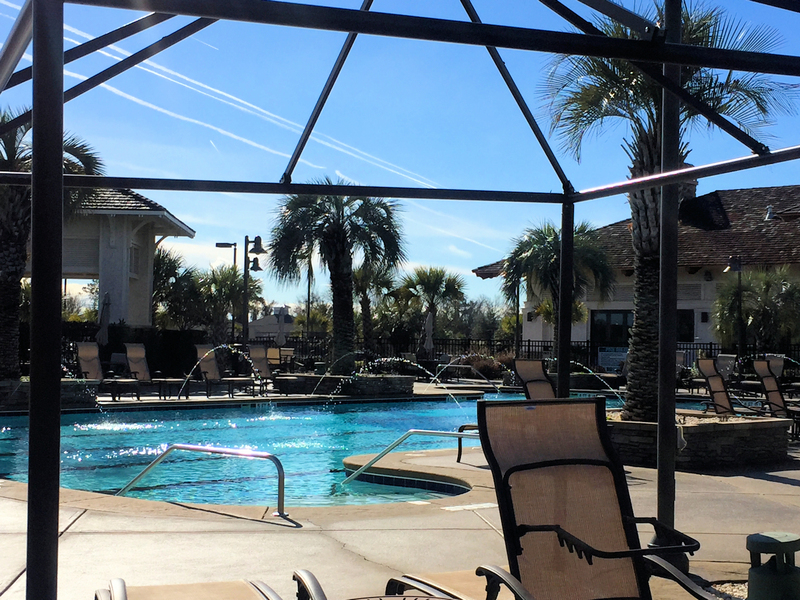 If you said yes to any of those, we’ve got the perfect community for you! 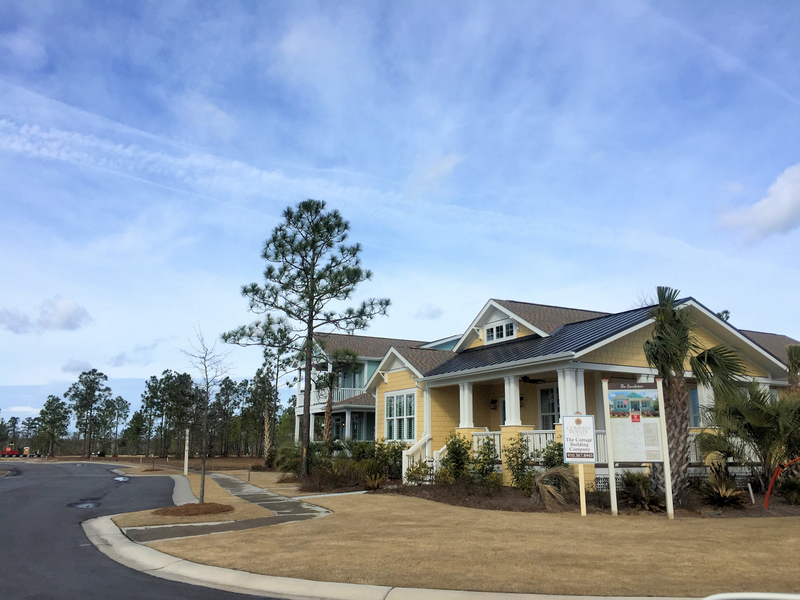 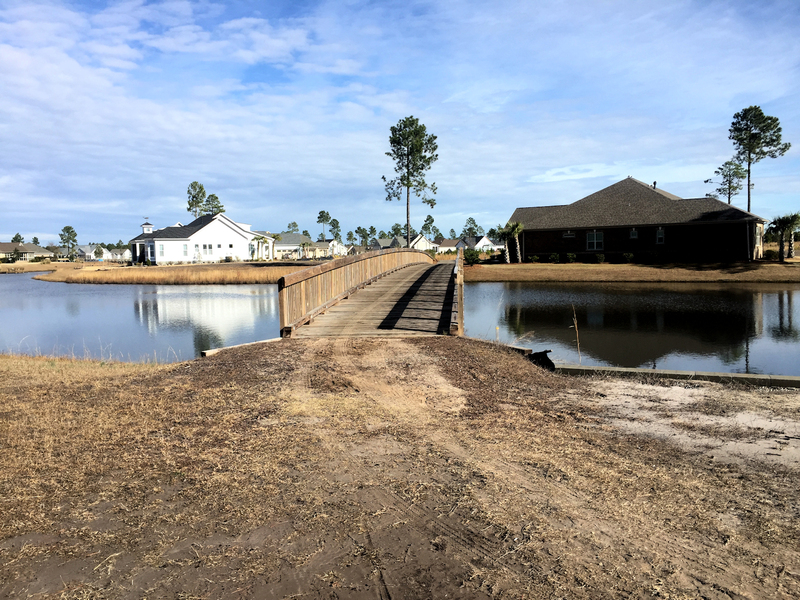 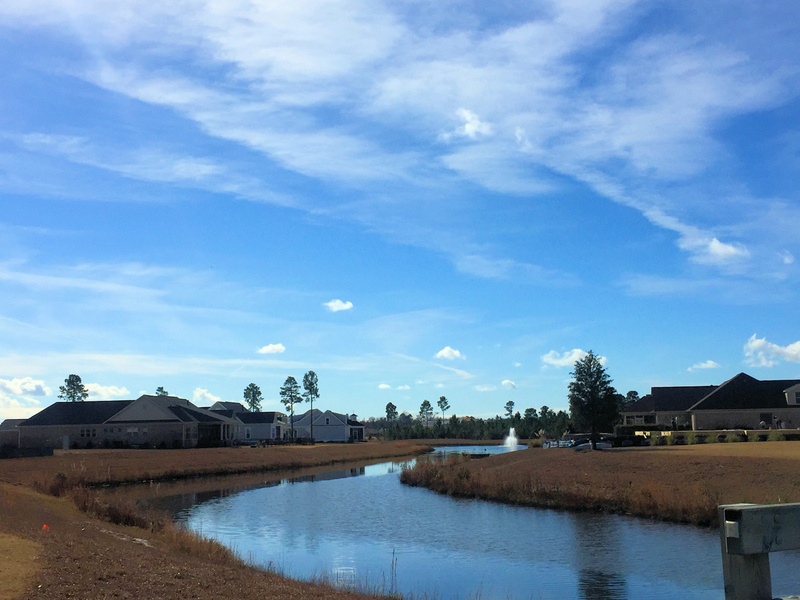 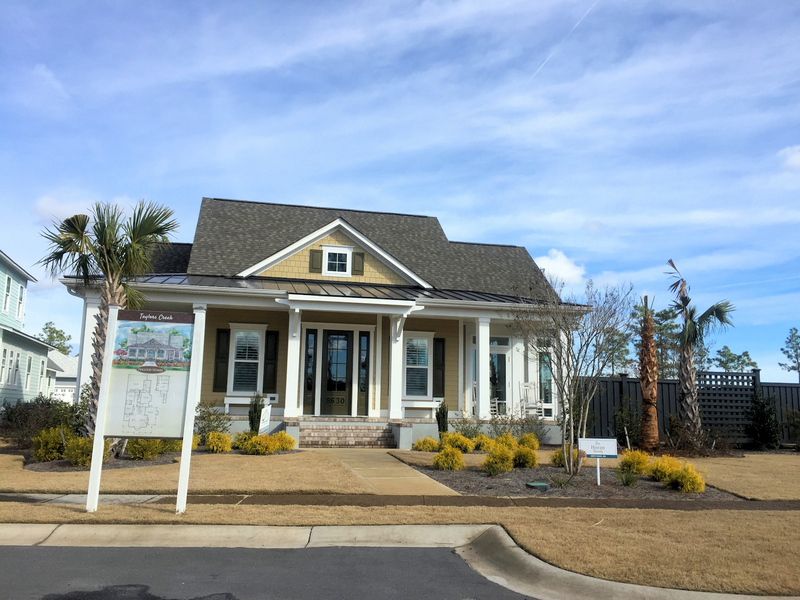 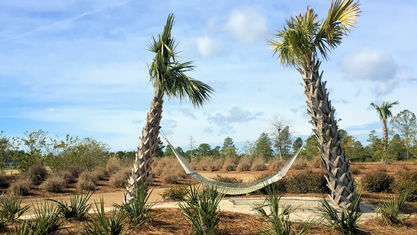 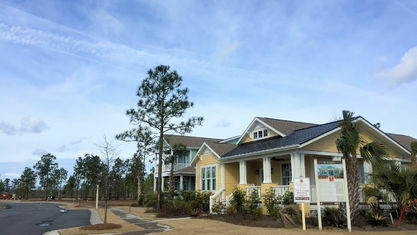 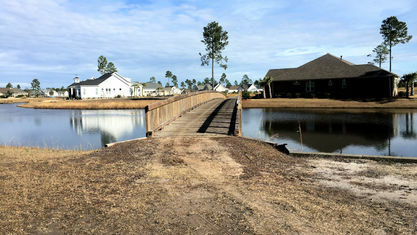 Driving into Compass Pointe in Leland, North Carolina is like driving into your own little oasis. 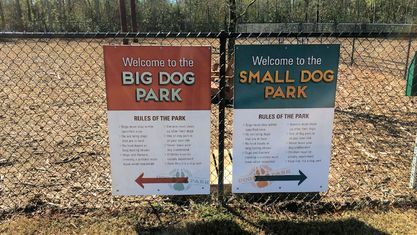 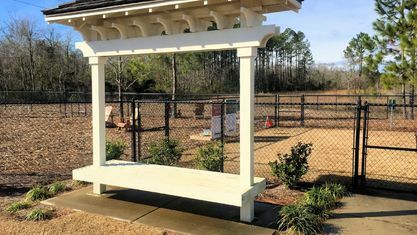 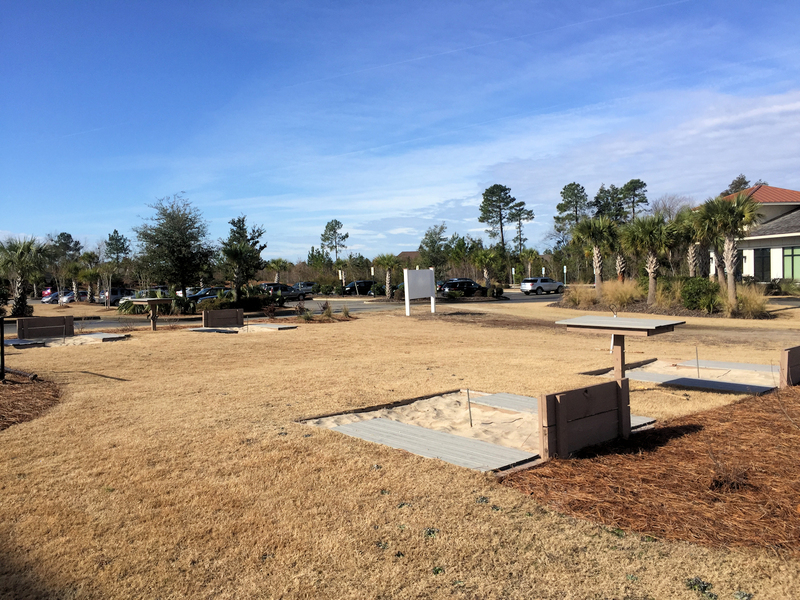 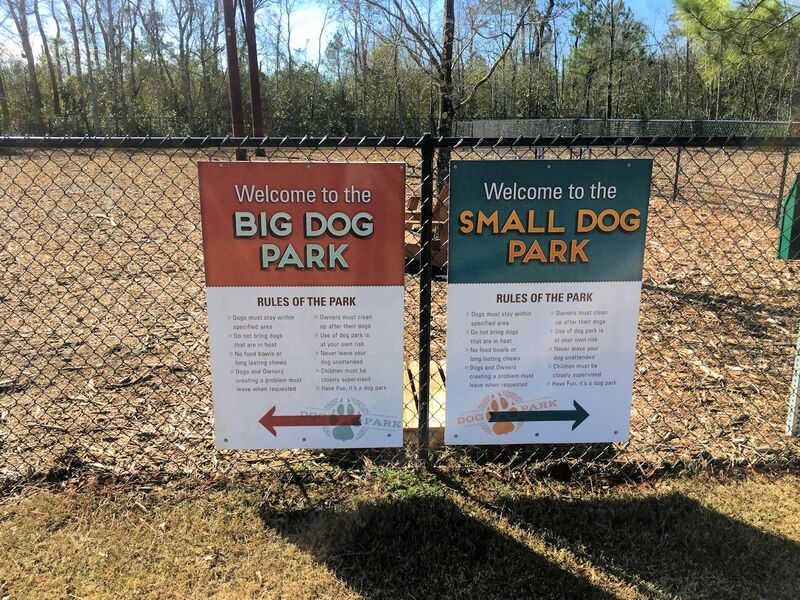 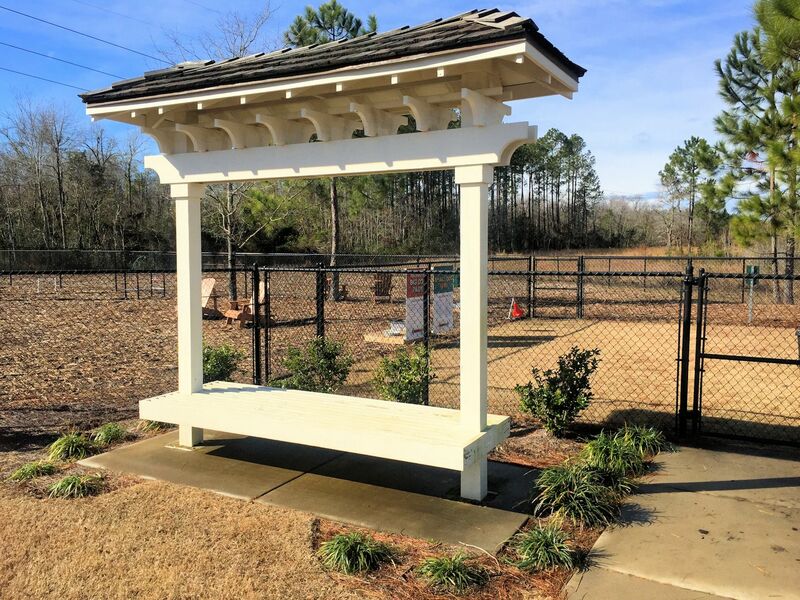 Compass Pointe has all of these great amenities as well as a dog park, clubhouse, walking trails, pickleball courts, and nature preserves. 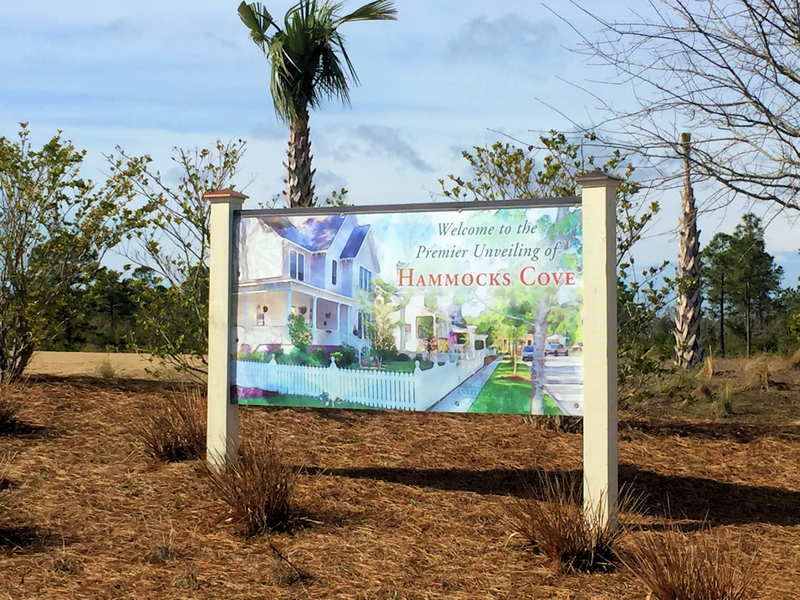 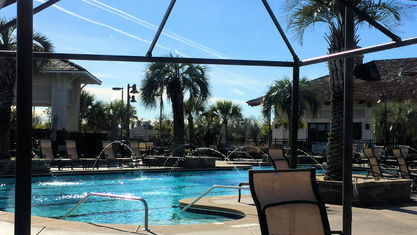 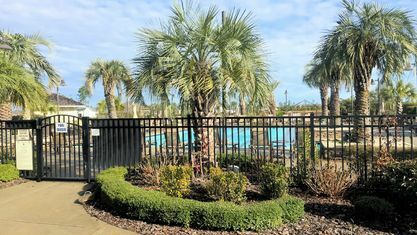 Located close to Leland’s booming commercial areas, Compass Pointe residents benefit from the proximity to great area attractions. 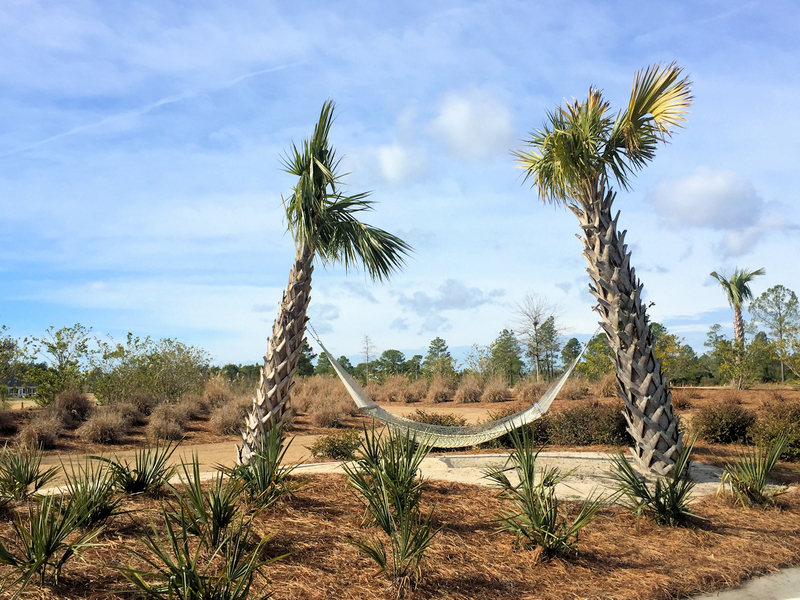 A 10-minute drive also brings residents to downtown Wilmington, a cultural center bursting with award-winning restaurants, breweries, theaters, and concerts. 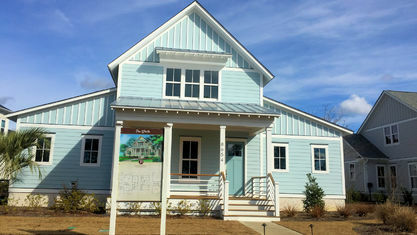 In addition, the beautiful historic district has homes dating back to the 1700s. 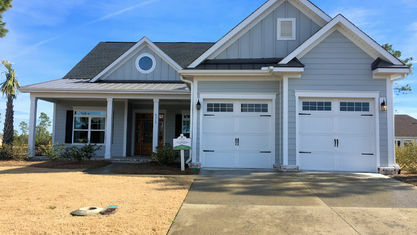 Those wanting to dig their toes into the sand can find Wrightsville Beach about 30 minutes away. 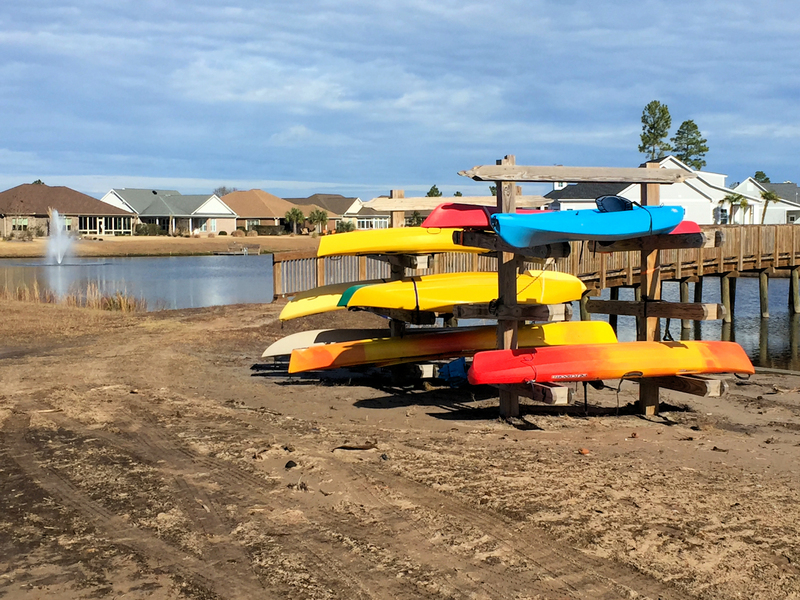 Residents enjoy outdoor activities like hiking or horseback riding further into Brunswick County. 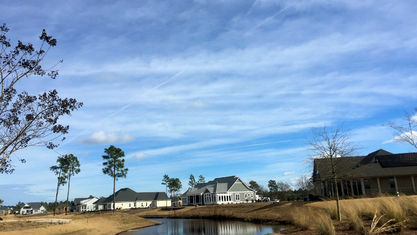 One of the most beautiful communities in our area, conservation areas dot and surround Compass Pointe. 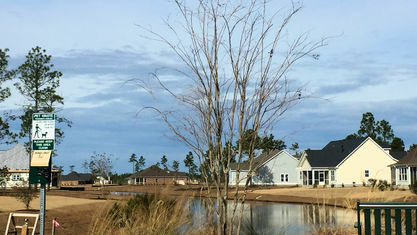 In addition, many homesites have views and private back yards. 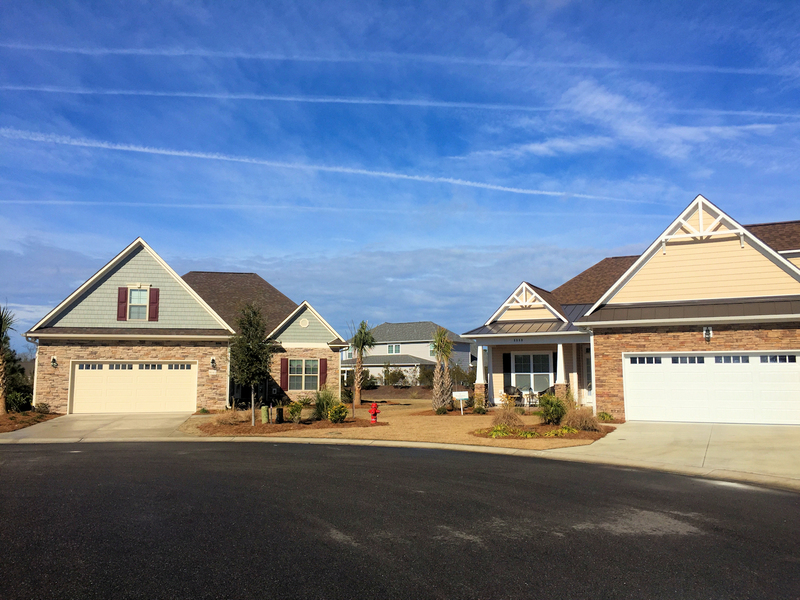 Lot sizes vary from a 1/4 acre up to almost a full acre, depending on the type of home. 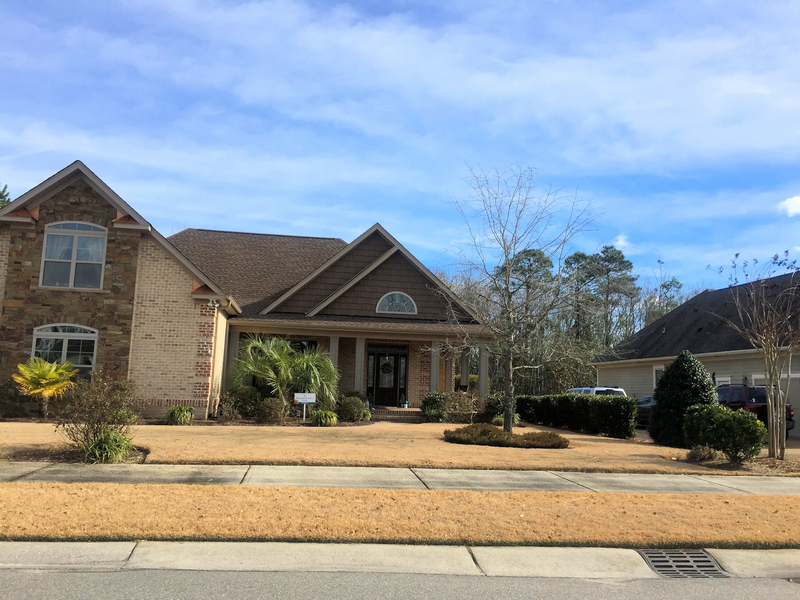 No matter the size, professional landscapers with lush foliage that blends well with the surrounding landscape. 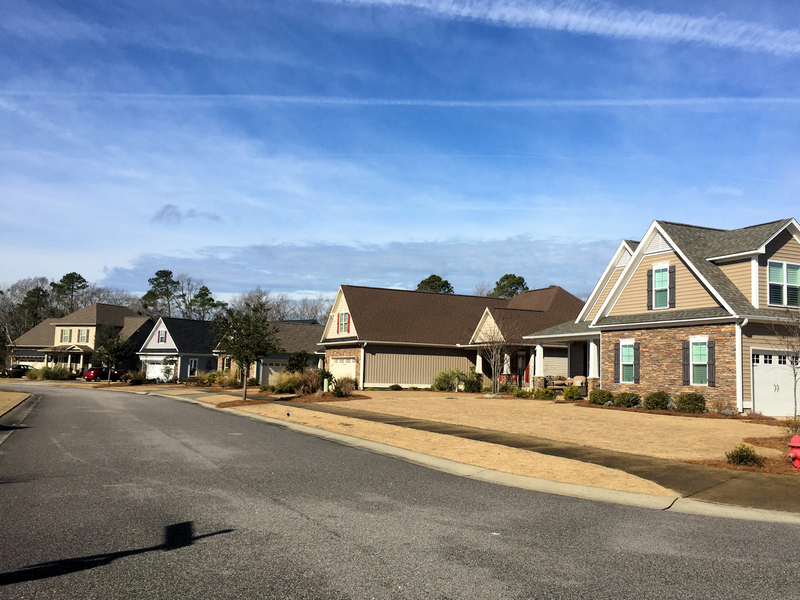 There are over 15 sub-communities spanning a wide range of needs and budgets. 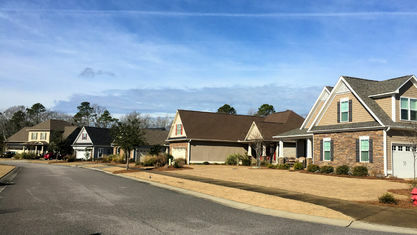 The community has been in existence since 2009. 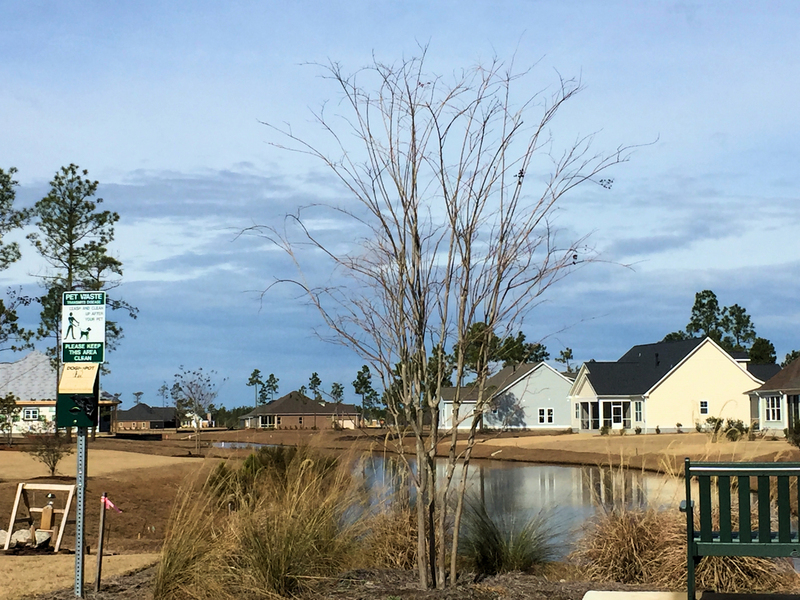 Builders have already constructed over 750 homes, but plenty more homesites are available. 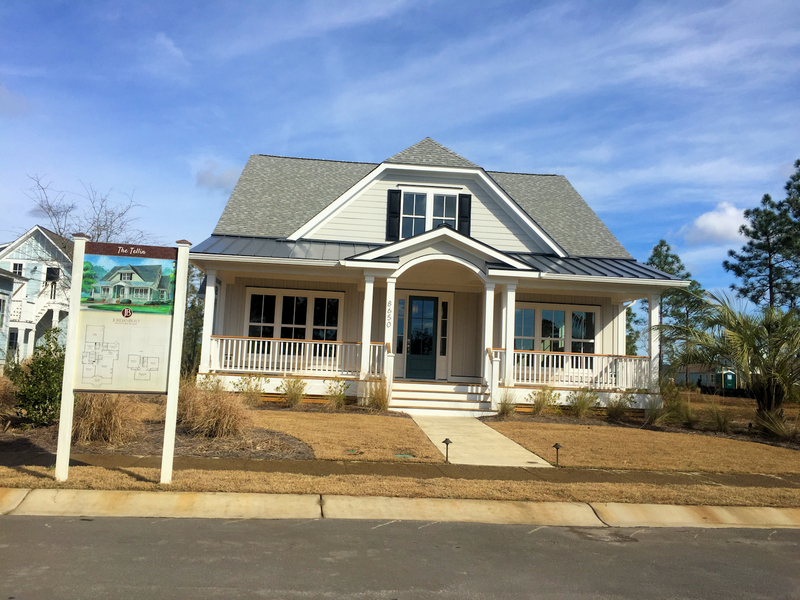 This gives buyers the stability of an existing home community and the power to customize their dream home. 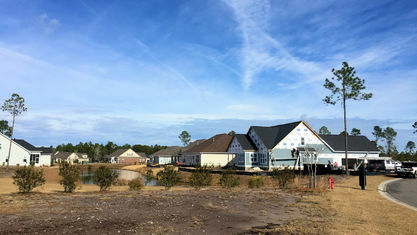 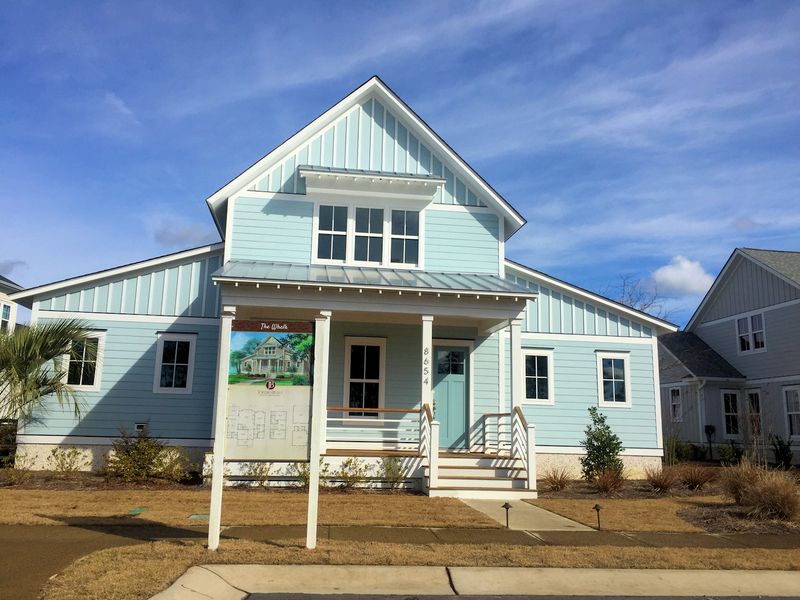 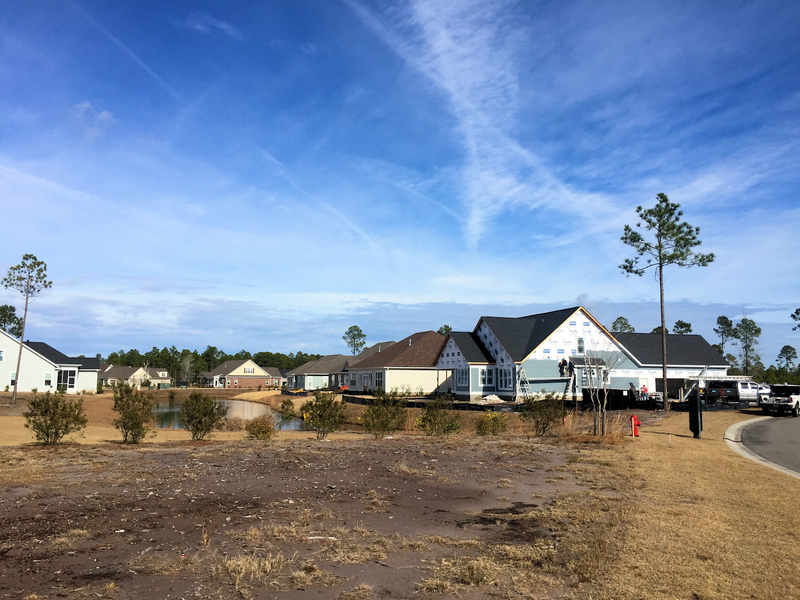 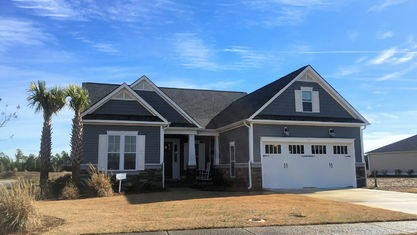 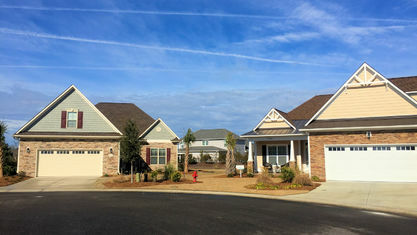 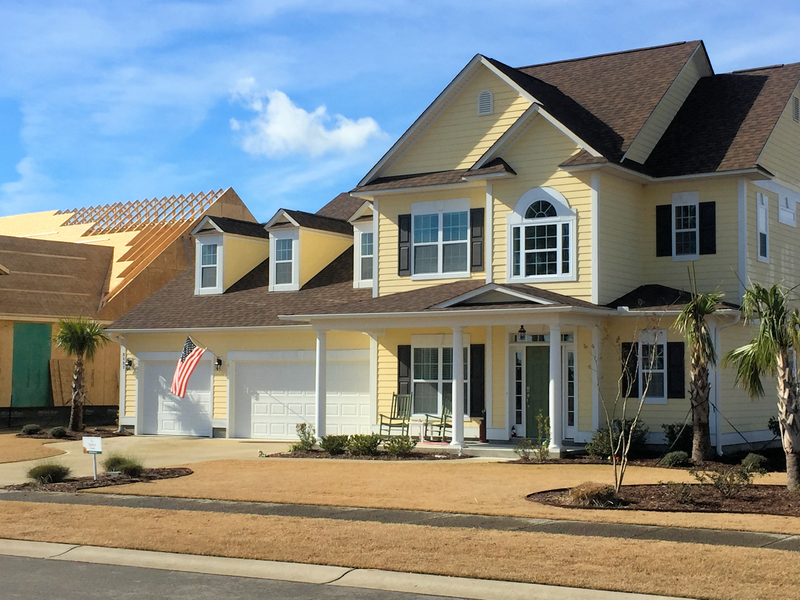 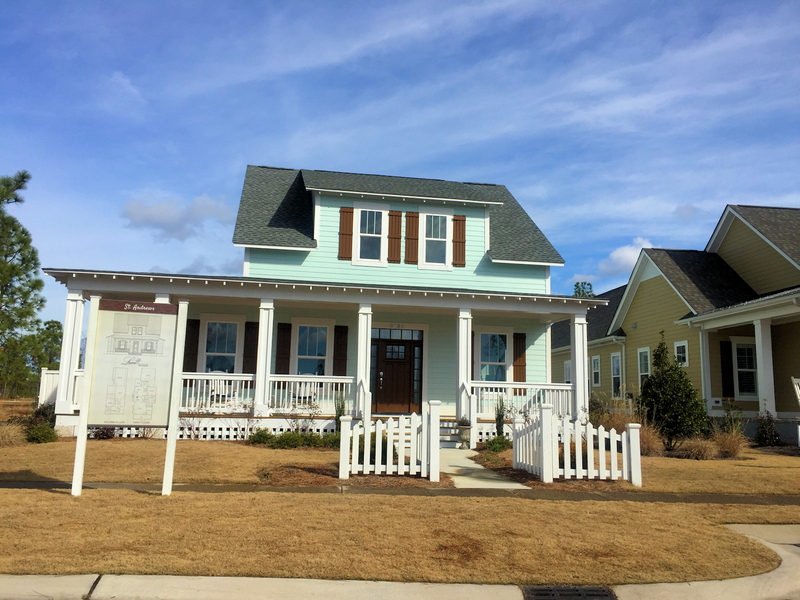 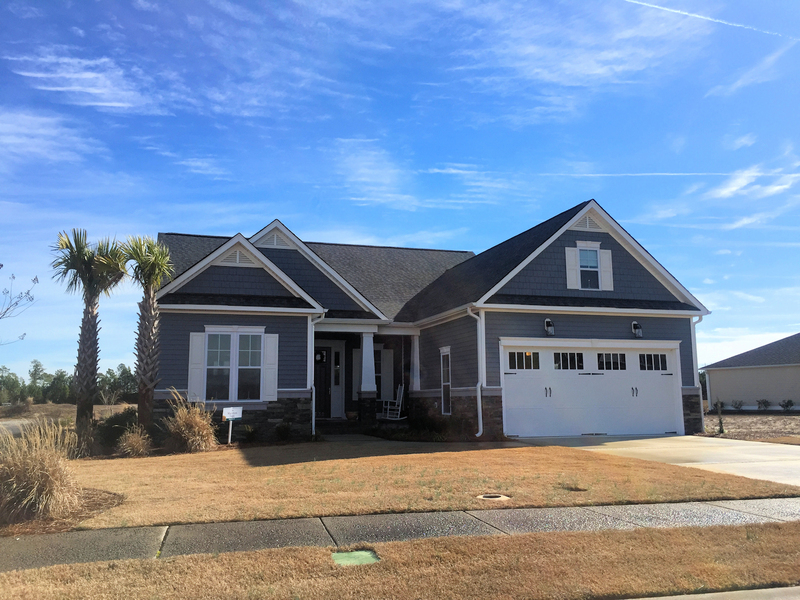 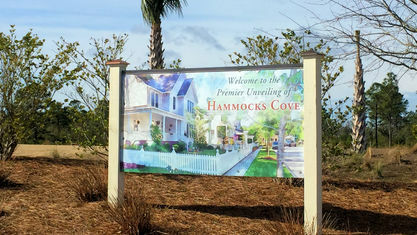 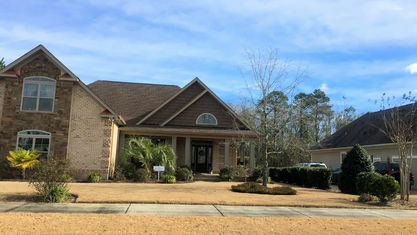 Most Compass Pointe builders have also built in other communities around the Wilmington area. 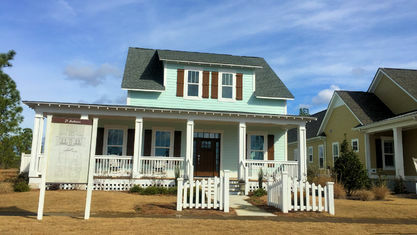 Representing the finest craftsmen in the area, they deliver custom and semi-custom homes in southern styles. 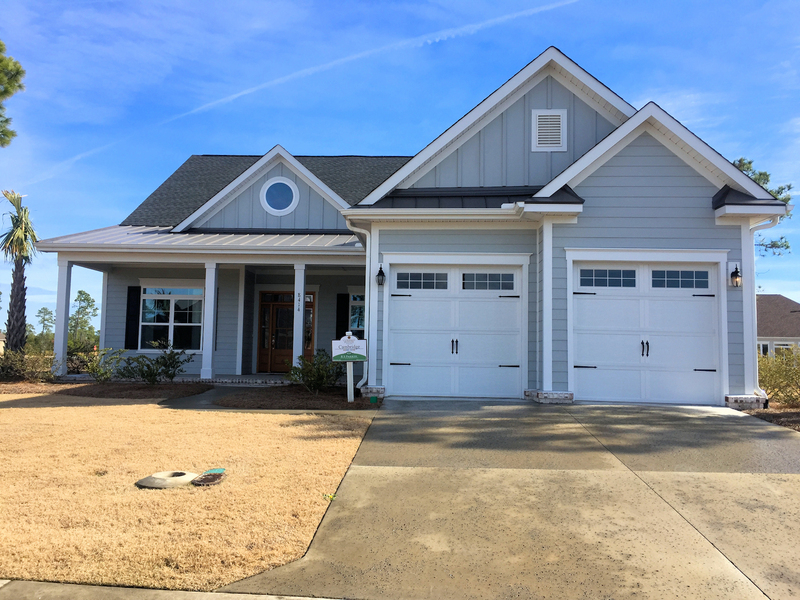 They include many popular features—front porches, trey ceilings, open floors plans, built-in shelving, granite, tile backsplashes, and screened porches. 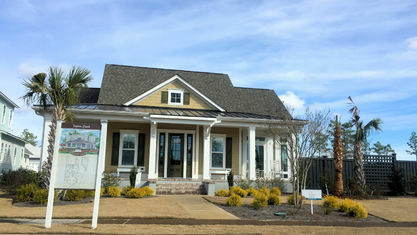 Plus, they try to include materials and features that improve energy efficiency, many providing a third-party guarantee. 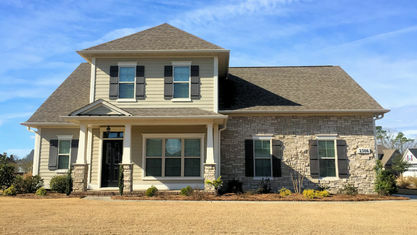 Between all of the floor plans provided by these builders, there’s sure to be something for everyone. 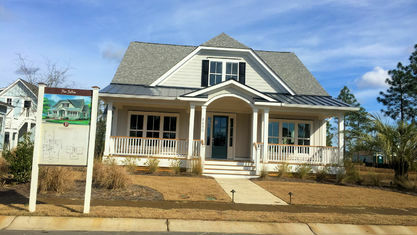 Many plans have optional rooms, features, and elevations, so no two homes are the same. 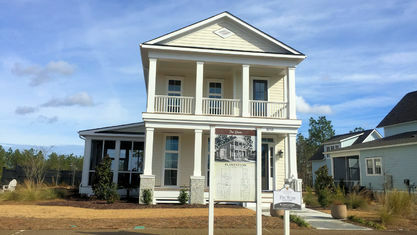 If you’re looking for something low maintenance, Compass Pointe also has townhomes. 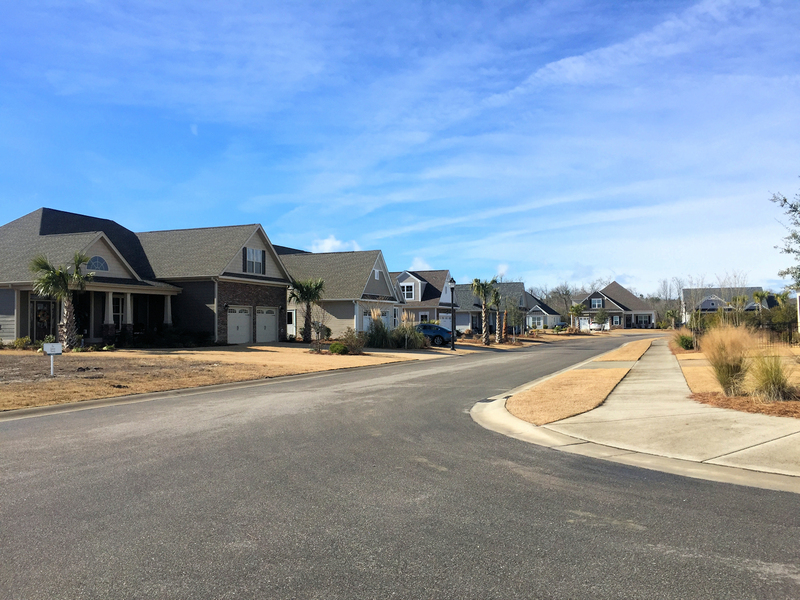 Developers paid just as much time and attention to designing these units as the single-family detached houses. 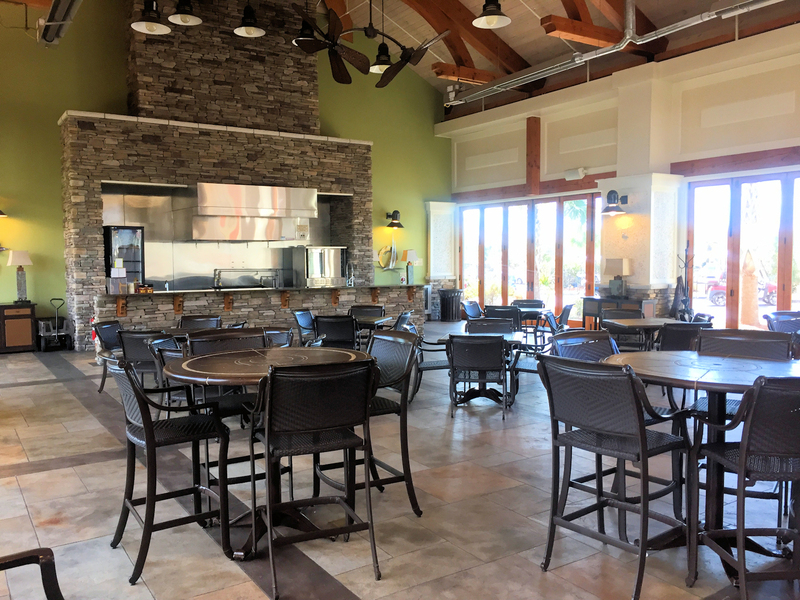 They have open floor plans to really maximize the feeling of spaciousness. 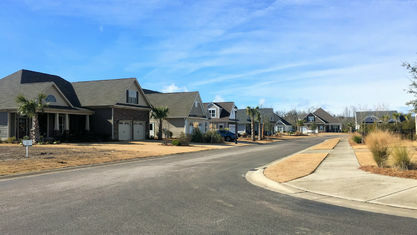 They also include many of the popular features found in the community’s houses. 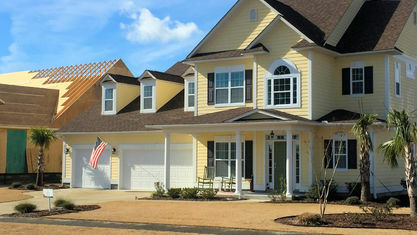 A specific association handles exterior maintenance and insurance with all owners sharing the financial responsibility. 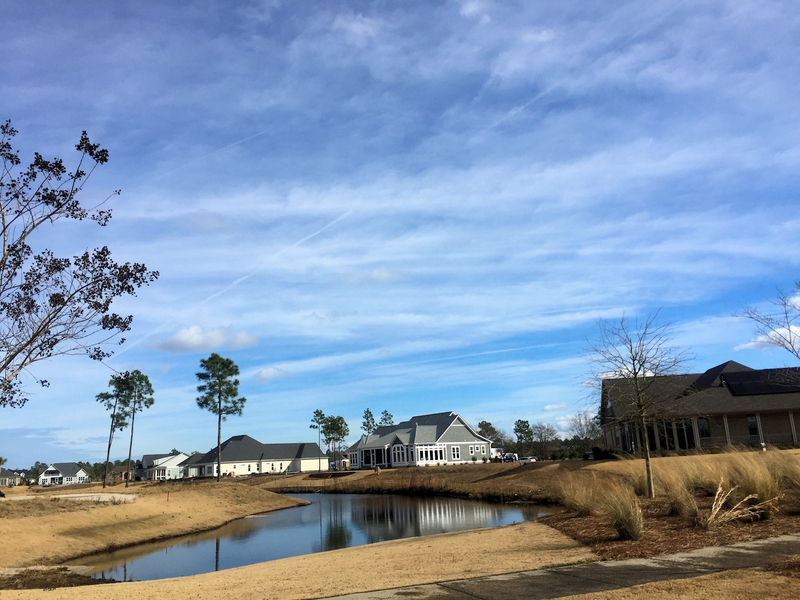 Compass Pointe is truly an active community. 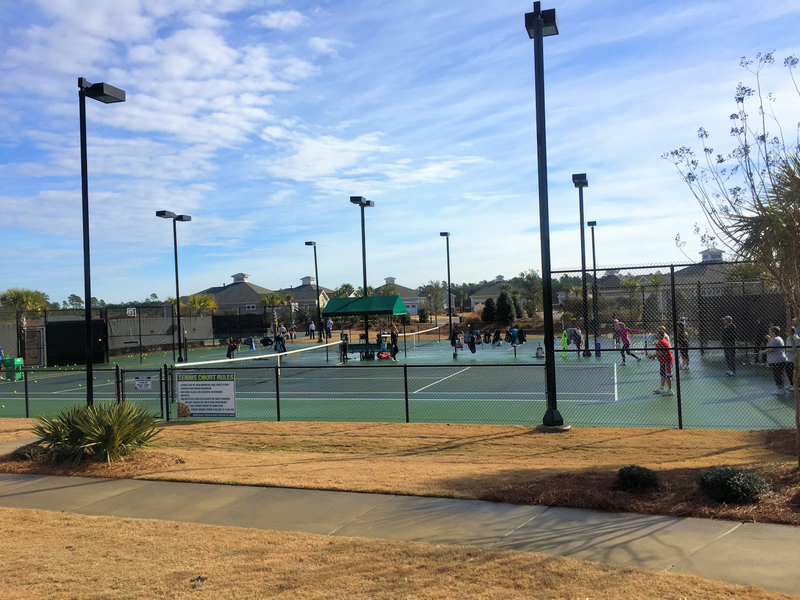 The community schedules several events each month like pickleball, bocce ball, exercise classes, art classes, tennis, poker, and holiday events. 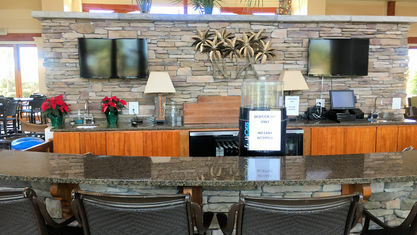 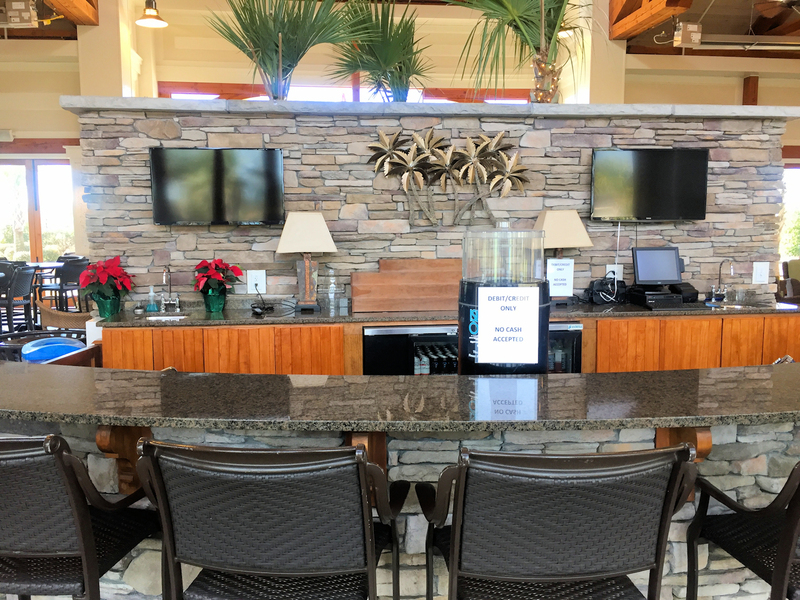 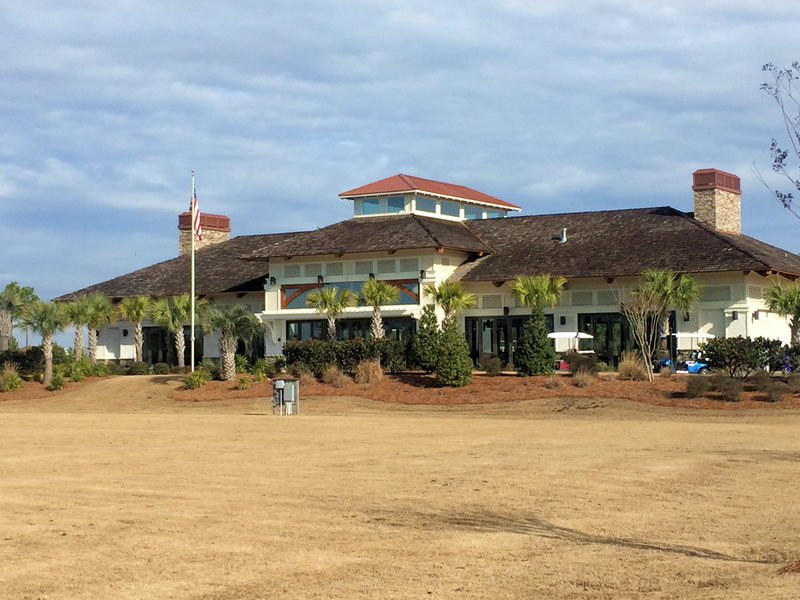 One of the Compass Pointe’s newest amenities is the Compass Pointe Golf Club. 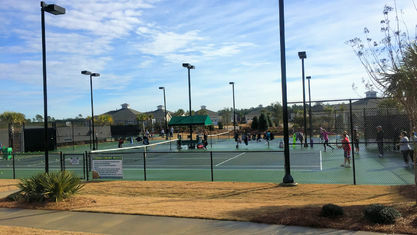 The community also has scheduled classes (from beginner to seasoned) and clubs that meet weekly. 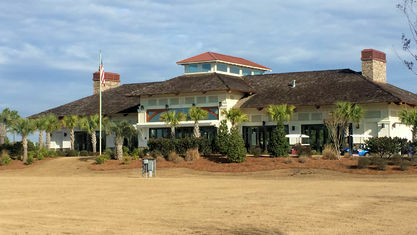 This 18-hole championship golf course was designed by Rick Robbins, whose designs can be seen throughout the United States and in China, Indonesia, Thailand and Malaysia. 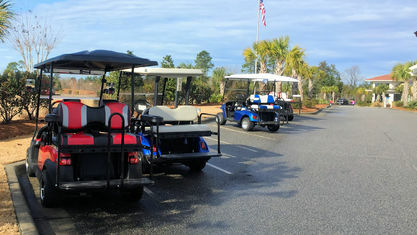 It includes optional family tees for junior players, older players, and a social experience. 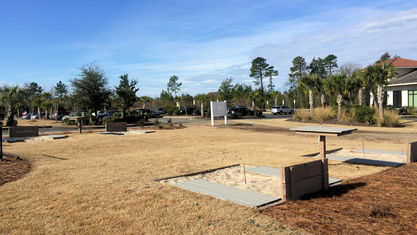 It also has a short course, chipping green, driving range, practice bunker, and optional 19th hole for settling wagers. 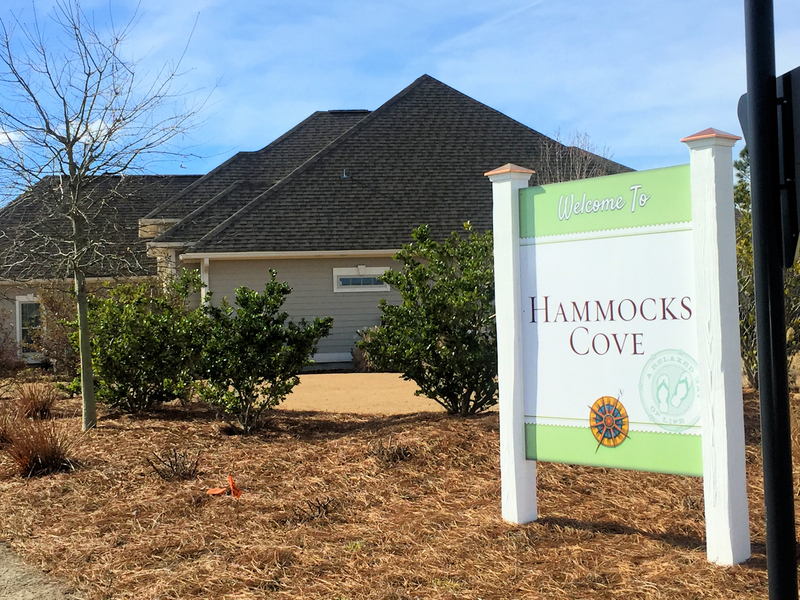 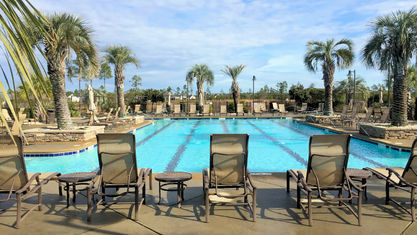 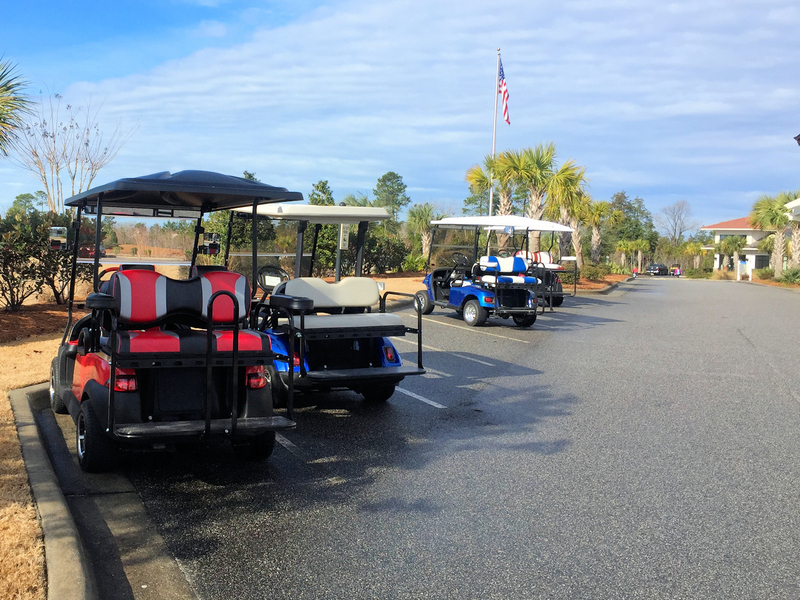 Residents of Compass Pointe are welcome to purchase a membership or play as they go. 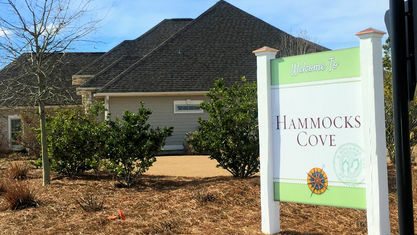 Compass Pointe does have a homeowner’s association that requires an annual fee. 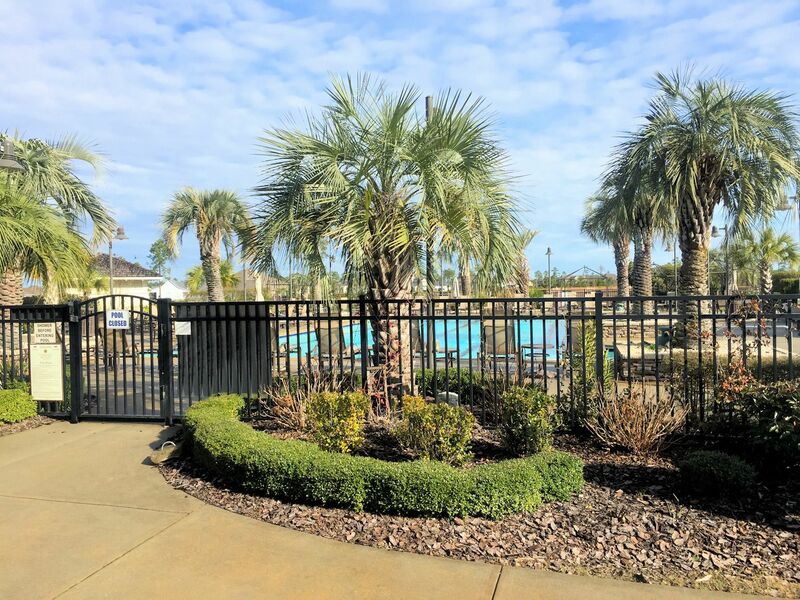 It covers maintenance of all amenities and common areas, as well as security fees, management fees, and common area taxes. 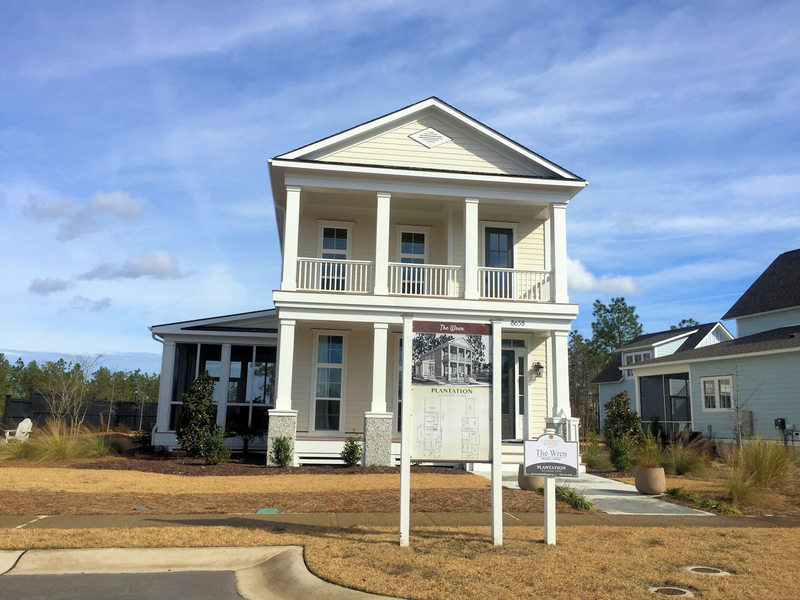 If you would like more information on Compass Pointe or any other real estate in the area, contact the Cameron Team today for more information or click “Let’s Chat about Compass Pointe” above. 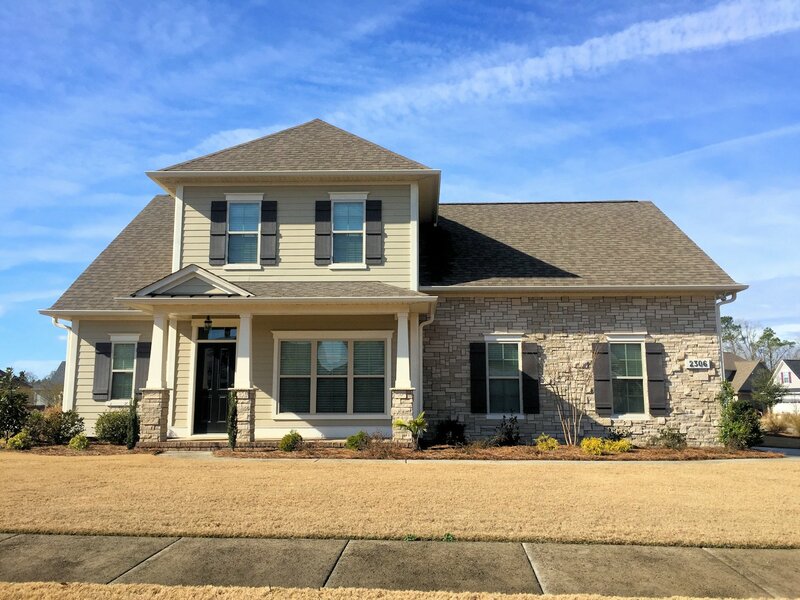 We'd love to help you in your home search. 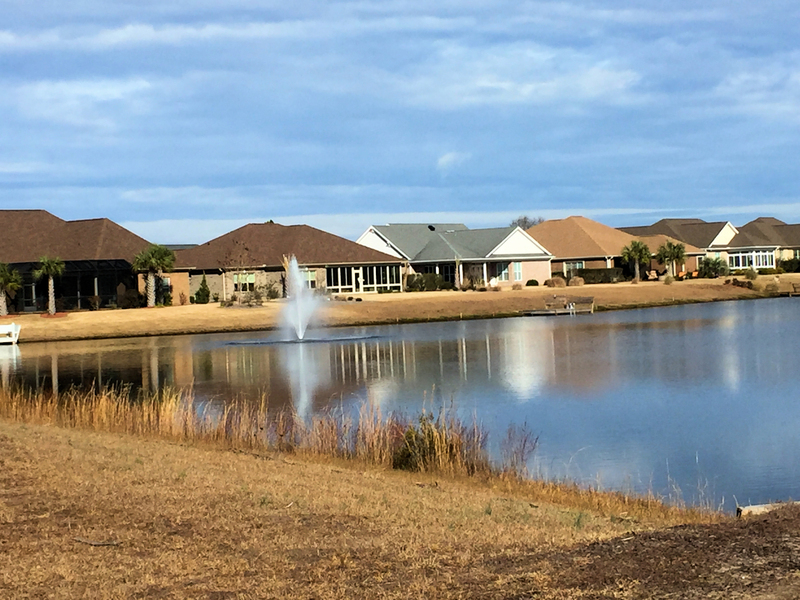 View our selection of available properties in the Compass Pointe area. 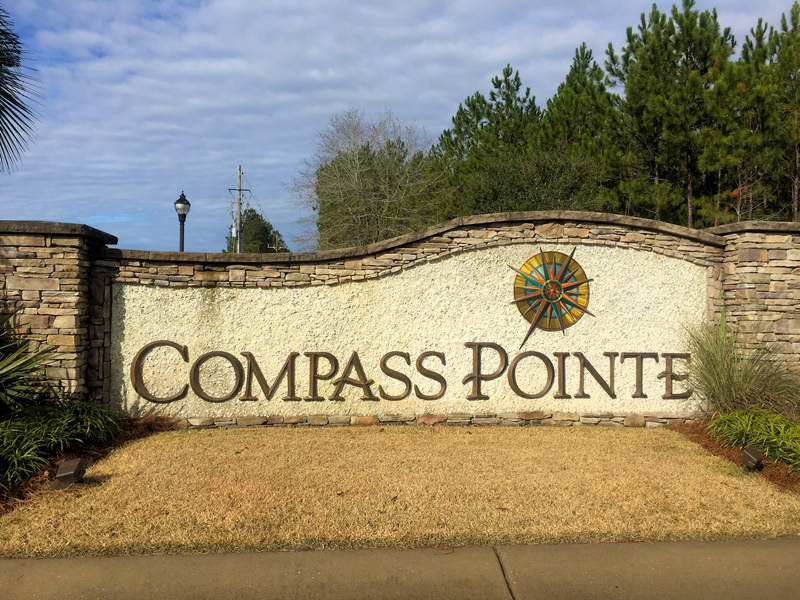 Check out the latest demographic information available for Compass Pointe. 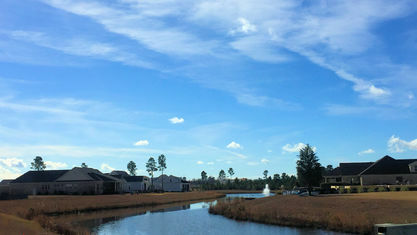 Get to know Compass Pointe better with our featured images and videos. 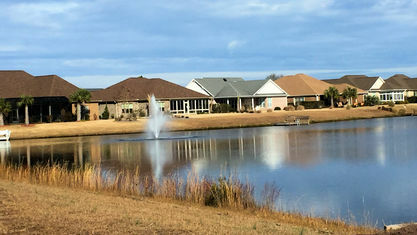 Learn more about schools near Compass Pointe complete with ratings and contact information. 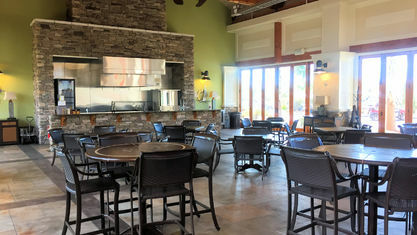 Browse through the top rated businesses in the most popular categories Compass Pointe has to offer.